The holidays mark a special time in the year to celebrate with family and friends. A lovely sentiment. However, if you’re hosting house guests — it's crunch time. Don’t fret! This year get your home ready before your loved ones’ arrive at your doorstep. There's still time and we’ve enlisted our designers to share 5 ways to fill your home with holiday cheer. 1. Start with Your Fireplace. Your fireplace becomes the heart of your home during the holidays. Make sure to stock it and we’re not just talking about wood. Update your fire screen and tools this season. For a modern and sleek fireplace consider CB2's tool set. Are you more traditional? 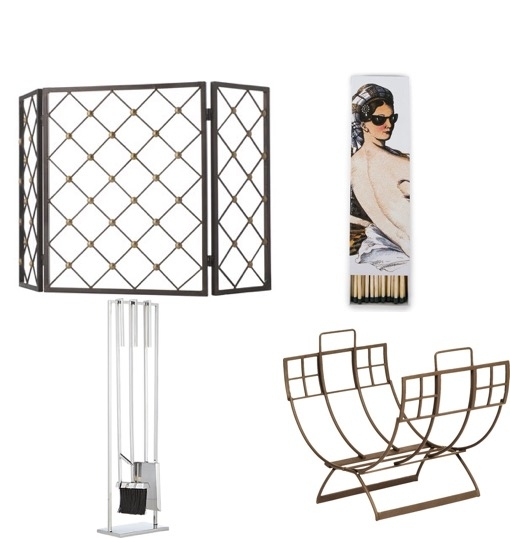 Horchow's fire screen is rustic yet fashionable with its subtle gold accents. Keep your area organized and place your wood in this chic Joss and Main log holder. Got a light? Find a stylish matchbox to gussy up your fireplace. Candles can change the atmosphere in your home — more importantly their rich aromas can act as a stress reliever. Place some in your guest bedroom and bath. 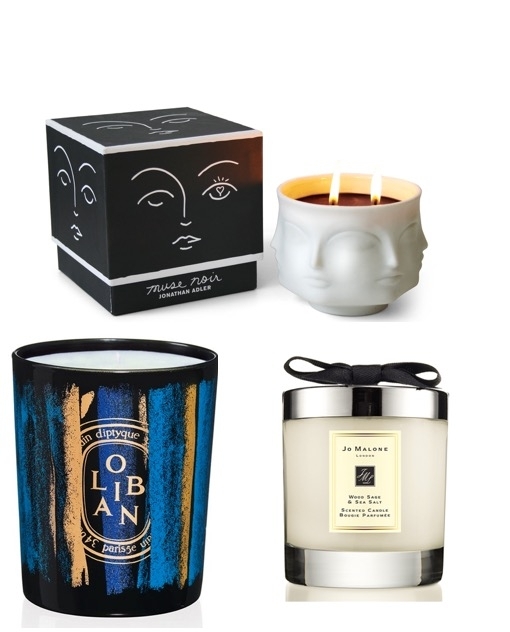 We’re gushing over Jonathan Adler’s statement candles, Jo Malone’s home candle collection and of course, how could we exclude Diptyque. 3. Add in a Cozy Throw. Throw blankets are an affordable way to transform your space during any season. Toss in rich caramels, deep reds, playful plaids or wintery whites. 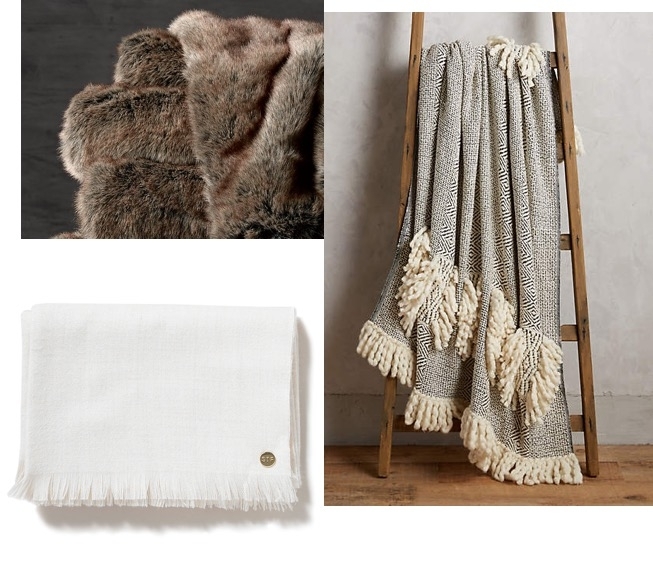 We're loving St. Frank’s Baby Alpaca Throw and Anthropologie's Geo Fringe Throw. Add in some texture and instantly update your space during the cooler months. Faux fur anyone? 4. Serve up a Stylish Tray. Presentation is important and a tray can be just the right touch to impress your guests. A mirrored tray can add some glamour to your home. Take Lulu & Georgia's Laxton Tray, its reflective surface with gold framing is sophisticated without being gaudy. Another favorite of ours is Nate Berkus' Wood and Metal Inlay Tray. It's a steal! Or go custom and add a pop of color with a Parker Thatch tray. Nothing cures the cold like a cup of mulled wine or hot toddy. Enjoy a hot beverage with your guests and bring even more warmth to your table with gold or copper hues. Try Williams Sonoma’s copper mugs or add a touch of gold to your table with Chairish's Mid-Century toddy mugs. 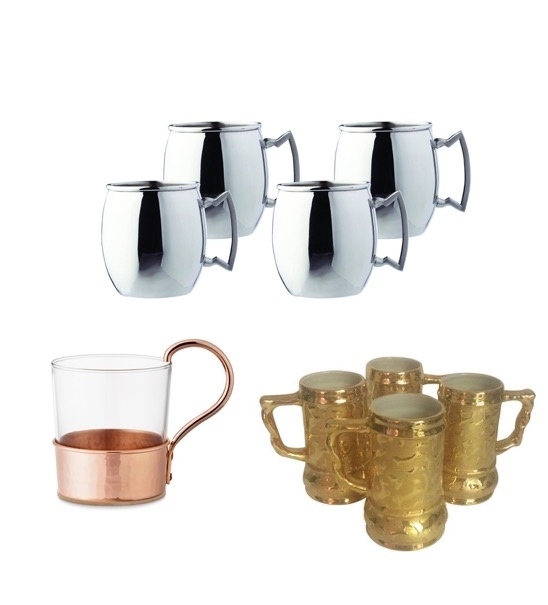 If your existing table setting doesn't lend well to gold or copper try stainless steel Moscow mule mugs. Beat the holiday hustle this season and start prepping today! 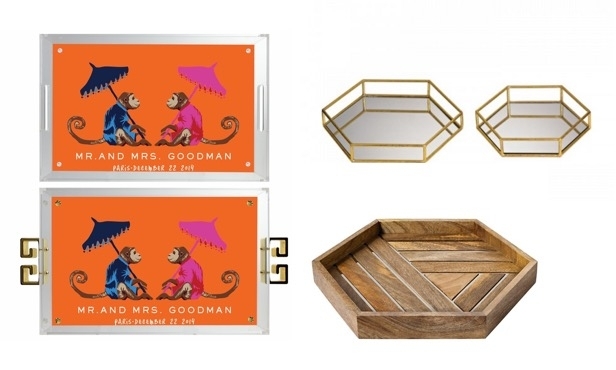 These designer picks are sure to liven up you home just in time for the holidays. Does your guest bedroom need a bit more TLC? We'll provide you with bedroom decorating ideas to make your guests feel at home. Get started here for just $199.